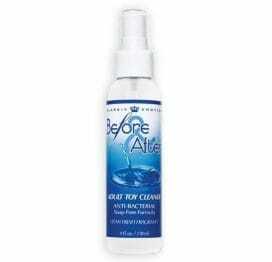 Keep your favorite pleasure products clean and safe with Refresh Toy Cleaner Antibacterial spray-on cleanser. 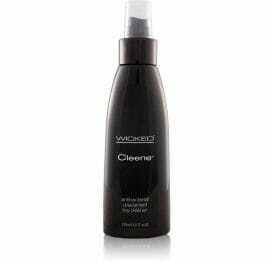 The unique cleansing agent gently cleans and disinfects surface bacteria, yet it's mild enough to use every time. Refresh Toy Cleaner Directions: Remove batteries before cleaning battery operated toys. Spray the cleaner over the entire surface area, then wipe with a damp cloth. Rinse thoroughly and dry. Made in USA. Spray bottle contains 4 fluid ounces (118.3ml).